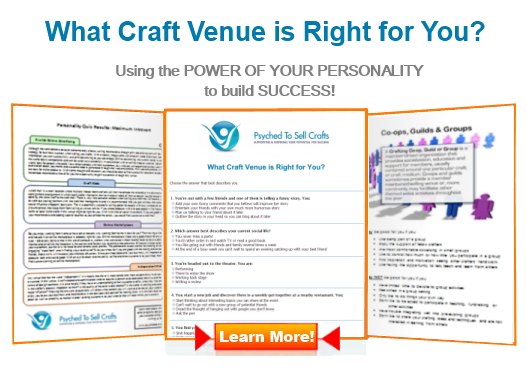 Psyched to Sell Crafts is a strengths-based marketing education program that has been created around new and innovate ideas stemming from the field of Positive Psychology. At its core, Positive Psychology focuses on people’s individual talents and strengths instead of trying to fix perceived shortcomings. This strengths-based approach has met with positive results throughout every category of industry. Now, Psyched to Sell Crafts is proud to bring this concept to the crafting community and to craft artisans like you who want more—more from their crafting business and more from their lives! In the past the primary focus of psychology has been on negatives, highlighting our weaknesses, and relying on experts essentially to help us overcome who we are. What work do we need to do to improve ourselves? Why are we undermining ourselves by not succeeding in these areas? And so we battle ourselves, fighting against our apparent inner failings. We have been encouraged to devote our energy, time and money to fixing our shortcomings instead of developing our inherent strengths as a way to reach our goals and achieve more in our lives. Psyched to Sell Crafts is here to help you focus on the positive! No longer burdened by the things you think you have to do to succeed, we provide insight and education to help you discover your unique talents and develop them in a way that will help you become more successful as you increasingly rely on your strengths and sharpen your business skills. I've always had a passion for bringing out the best in people. Why did I italicize always? In kindergarten my teacher talked to the class about the importance of keeping our cubbies clean, so part of my day as a five-year-old included organizing everyone’s pencil boxes and safety scissors. I remember it clearly. In my mind, I was helping to prepare each of my new friends for a better day. I consider this ability to support others to be one of my inherent talents, and I have worked to develop it as a personal and professional strength. I think it was probably inevitable that I would want to become a Strengths Coach, and, due to my love of the crafting community, it was only natural that I would want to bring the power of this program to both individual craft artisans and the crafting community. I met Reggie when Faerie Moon Creations had just barely come into being, when I was still quite unsure of myself. Reggie has encouraged me, helped me build confidence and provided me with sage advice and assurance. Her support has meant the world to me. 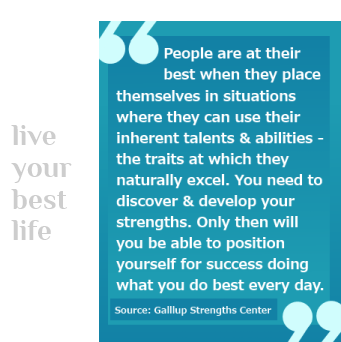 For me, this is a perfect example of living a strengths-based life. I’m not fighting who I am, I am nurturing who I am and developing skills that help me become more effective in reaching my goals. It’s a great feeling when all the pieces come together and successes start building on each other. Do you live a successful life doing what you do best every day? If you answer “No” and you find yourself dreading the work you do to promote and sell your handcrafted merchandise, then you are not working to your full potential and not achieving everything you were born to achieve. We want to help you work smarter, grow stronger and live a richer life. After all, today really is the first day of the rest of your life. 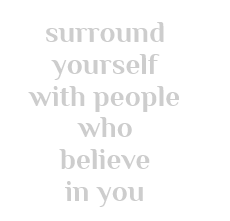 Let's work together to make it great!